Welcome to the AIS online election page. Voters choose ONE regular council members. ONLINE VOTING WILL CLOSE AT MIDNIGHT EST ON 2015-11-20. 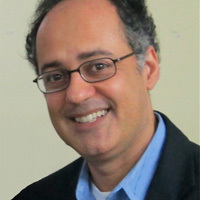 Afshin Marashi is Associate Professor in the Department of International and Area Studies at the University of Oklahoma. He is also the Farzaneh Family Chair of Iranian Studies, and the founding director of the university’s Iranian Studies Program. He received his PhD in History from UCLA in 2003, and his BA in Political Science from UC-Berkeley in 1992. His main publications include Nationalizing Iran: Culture, Power, and the State, 1870-1940 (Seattle: University of Washington Press, 2008), and Rethinking Iranian Nationalism and Modernity (Austin: University of Texas Press, 2014), a multi-authored volume co-edited with Kamran Aghaie. His other published writings have appeared in Iranian Studies, The Journal of Persianate Studies, the International Journal of Middle East Studies (IJMES) and Iran-Nameh. His research interests focus on modern Iranian history, nationalism and transnationalism, social and cultural history, and intellectual history. He is currently a member of the IJMES editorial board. His previous administrative service includes membership on the Middle East Studies Association’s Committee on Academic Freedom (2005-2008), and chair of the Houshang Pourshariati Iranian Studies Book Award committee (2014). Samad Alavi is assistant professor of Near Eastern Languages and Civilization at the University of Washington in Seattle. His first book, Poetry and Revolution: Political Struggle in Modern Persian Literature is under contract with I.B. Tauris. Recent publications include “Living in Lyric: The Task of Translating a Modernist Ghazal” in Persian Language, Literature and Culture: New Leaves Fresh Looks (ed. Kamran Talattof, Routledge, 2015). 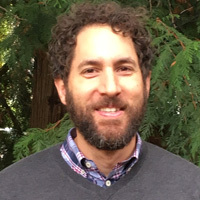 His dissertation (UC Berkeley, 2013) won the biennial Rahim M. Irvani Dissertation Award for exceptional scholarship on Persian literature and its cognate fields. Since 2014, he has served as associate editor (literature and culture) for the Journal of the Association for Iranian Studies and as executive secretary for the American Association of Teachers of Persian. In addition to his book project on ideological and aesthetic debates surrounding Iranian revolutionary poetry, he has also begun a second project on prison memoirs in Iranian and global contexts. His research for both projects takes up questions of translation in theory and practice and has led him to publish translations of modern Persian poetry in various online and printed journals. Touraj Daryaee is the Maseeh Chair in Persian Studies and Culture and the Director of the Dr. Samuel M. Jordan Center for Persian Studies and Culture at the University of California, Irvine. He was born in Tehran in 1967 and studied in Iran, Greece and the United States. He received his PhD from the University of California, Los Angeles in 1999 and focuses on the history, religion and culture of the Ancient and early Medieval Iranian world. He has taught at UCLA, California State University, Fullerton and has been a visiting fellow at the L’École des hautes études en sciences sociales (EHESS) in Paris (2010) and the Bahari senior research fellow at the Oxford University (2014). 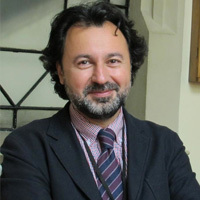 He is the Editor in-Chief of the online Digital Archives of Brief notes and Iran Review (DABIR), and the Name-ye Iran-e Bastan (NIB) at the Iran University Press (Tehran), as well as the director of Sasanika Project: The Late Antique Iran digital program and the Sasanika Publication Series (Costa Mesa). He is on the editorial boards of Iranian Studies, Classica et Orientalia (Poland), Indo-Iranica et Orientalia-sereis Lazur: Studi Iranici Ravennati (Italy), and Rahavard (US). His book publications and edited volumes include Shahrestaniha i Iranshahr: A Middle Persian Text on History, Geography and Epic, Mazda Publishers (2002); The Spirit of Wisdom: Essay in Memory of Ahmad Tafazzoli, Mazda Publishers (2004); Sasanian Iran: Portrait of a Late Antique Empire, Mazda Publishers (2008); Sasanian Persia: The Rise and Fall of An Empire, IB Tauris (2009); Scholars and Humanists: Letter of S.H. Taqizadeh & W.B. Henning 1933-1966, Mazda Publishers (2011); The Oxford Handbook of Iranian History, Oxford (2012), Iranian Kingship, the Arab Conquest and Zoroastrian Apocalypse: The History of Fars and Beyond in Late Antiquity (600-900 CE), Mumbai (2012); Cyrus the Great: An Ancient Iranian King, Afshar Publishers (2014); Excavating an Empire: Achaemenid Persia in Longue Durée (2015); The Parthian and Early Sasanian Empires: Adaption and Expansion, Oxford (2015). 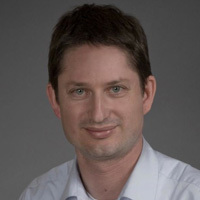 Florian Schwarz is Director of the Institute for Iranian Studies at the Austrian Academy of Sciences in Vienna, Austria, and affiliate professor for Iranian Studies at the University of Vienna. He received his PhD in 1998 from the University of Tübingen. He previously taught at the University of Bochum (Ruhr-Universität Bochum) and at the University of Washington in Seattle. His interests are mainly in the history of medieval and early modern Iran and Central Asia. His current research focuses on intellectual networks and manuscript culture in early modern Iran and on urban and landscape history of Iran and Central Asia. Since 2011 he serves as secretary of the Societas Iranologica Europaea. Schwarz is the author of three books, co-editor of two monograph series on Iranian Studies for the Austrian Academy of Sciences Press, and co-editor of the Brill Handbook of Oriental Studies, Section 1: The Near and Middle East.